I had a great experience with Toro Road Runners last July. I called the company for a mechanical issue with my car and I am happy that they immediately sent a team of towing experts at my location in San Francisco. They towed my vehicle to the nearest repair facility, and I was able to get back on the road in a couple of hours. I am grateful for this company because of their quick response and safe towing services. Sam P. – July 2, 2017 – San Francisco, Ca. While we were having a meal at a fast food chain in Berkeley, I forgot to get my bag inside the car. Unfortunately, I found out that I accidentally locked the vehicle with the keys inside so I had to call Toro Road Runners. I felt so much relieved when they responded quickly. In fact, I did not expect that the company will arrive in as early as 30 minutes. Their locksmith was so friendly and assured me that everything will be alright. True enough, he was able to unlock my vehicle without damages. I definitely recommend this company for any car lockout issues. I called Toro Road Runners last May 23, 2017 because I ran out of fuel and I had an appointment to catch-up. Since the nearest gasoline station is a few miles away, I availed the out-of-gas delivery services of this company. I am so thankful for their quick delivery and friendly people. The price of their services are affordable too. I was able to get back on the road in Richmond because they arrived as early as expected. Toro Road Runners is surely the best local company for any vehicle problems in Richmond, California. I love Toro Road Runners. 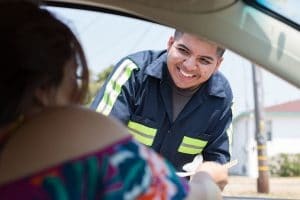 When my vehicle stopped all of a sudden while I was driving in San Jose, I did not hesitate to call this company for car jumpstart services. Toro Road Runners sent the best technicians who are courteous and friendly. They also arrive on time and fixed the problem right away. I was able to get back on the road without hassles because of this company. Thanks to the expertise and professionalism of the technicians in Toro Road Runners. They are definitely highly recommended. When you are looking for the best company for wrecker services, I would recommend Toro Road Runners. Back in March, 2017, I was driving to my home in Oakland when I encountered an accident. I am glad that I was not injured but my car was really devastated. Instead of feeling shocked on what happened, I called this company. In a few minutes, they arrived and towed my vehicle. They also made sure that I was in a good condition, providing comfort and reassurance while they perform the wrecker service. I know that it was a bad experience to be in that situation, but thank God Toro Road Runners is just a call away.